Suzanne O'Malley consults with large companies translating complex ideas and projects into easily consumable information using a variety of media. In addition, she gives personal feedback and recommendations on books, scripts, plays, documentaries, feature films, podcasts and blogs. If you are interested in inquiring about using Suzanne O'Malley's consulting services, describe your area of interest in the space below. 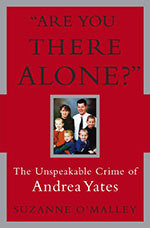 Click item cover to buy other books and DVDs. 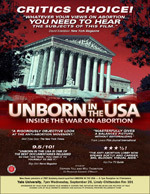 UNBORN IN THE USA: Inside the War on Abortion "the most compelling film of the year--as timely as it is powerful." Billed by NYT as "a rigorously objective look at the anti-abortion movement...."